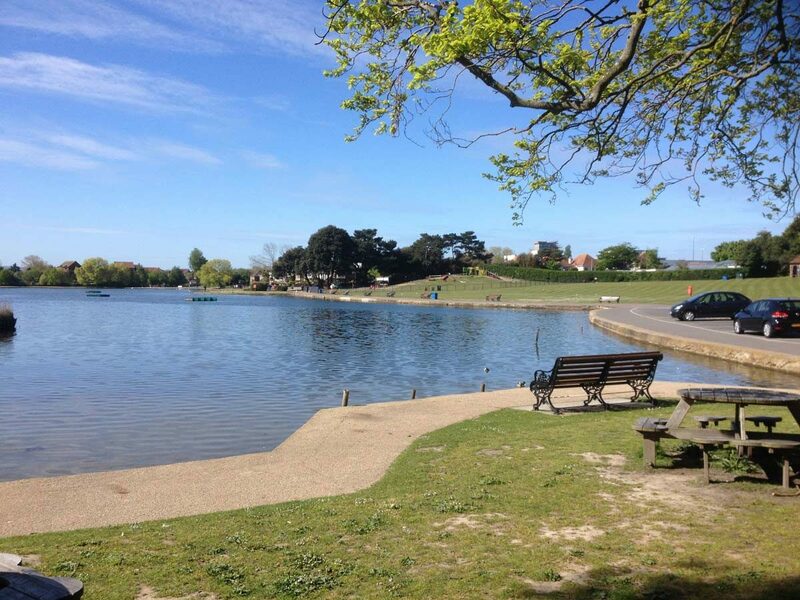 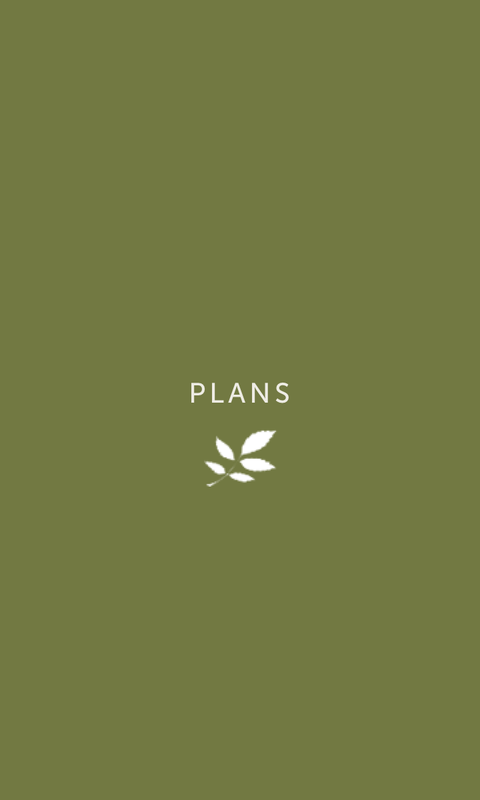 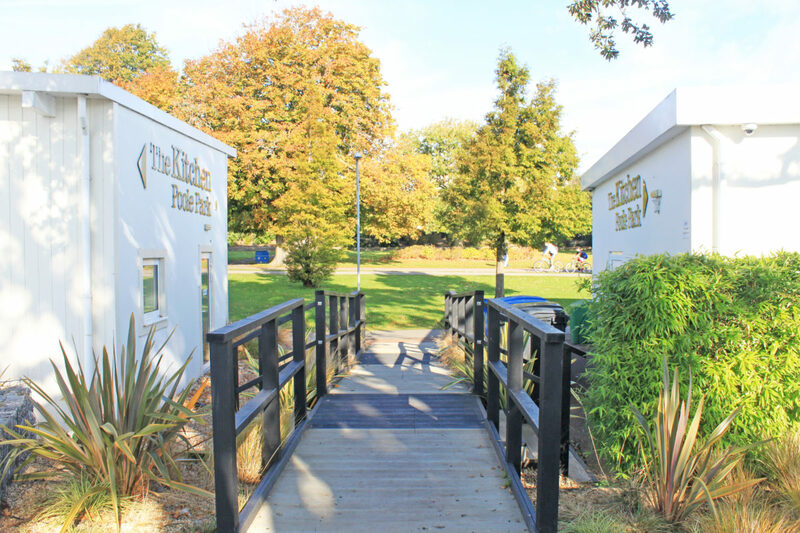 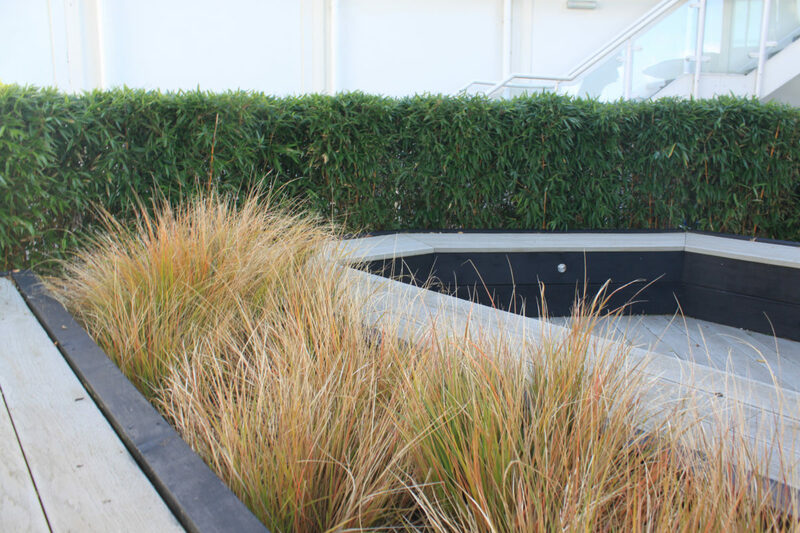 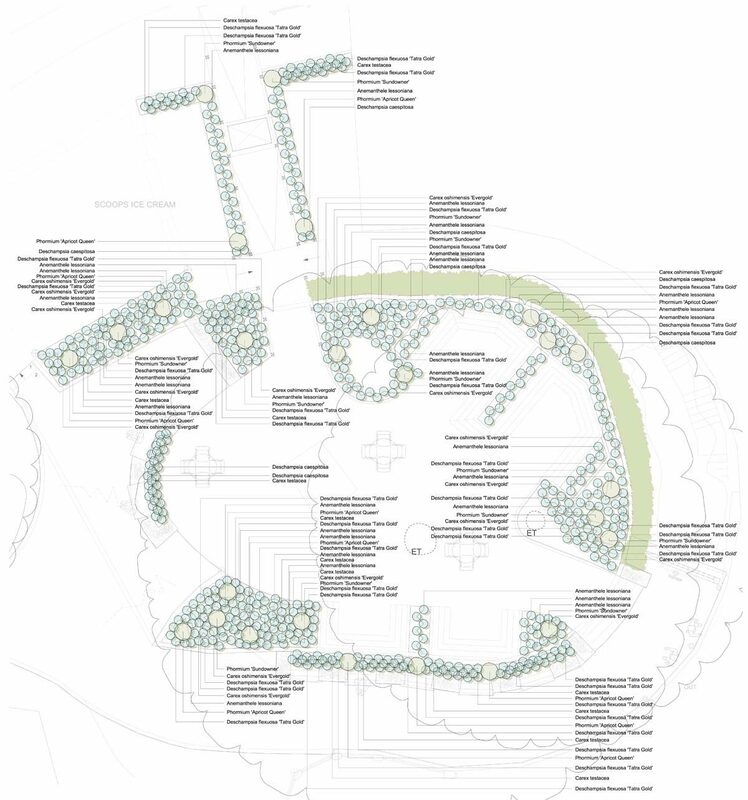 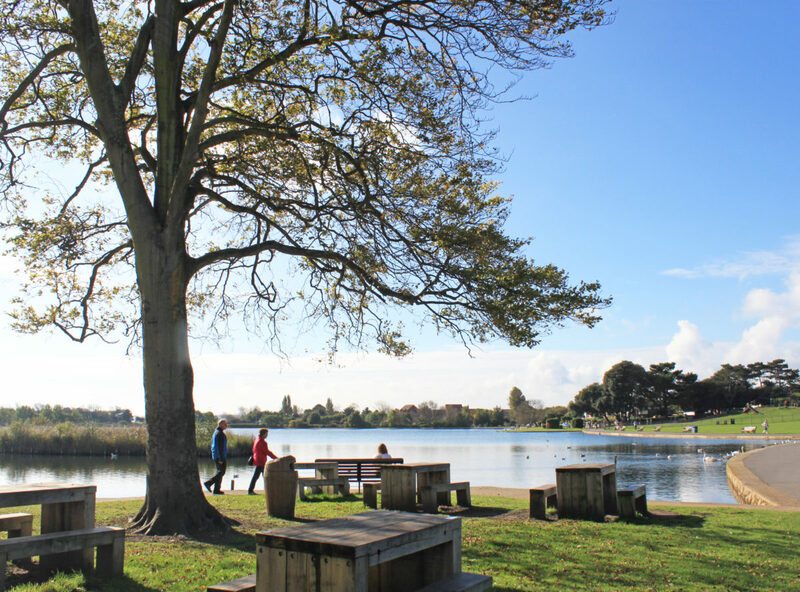 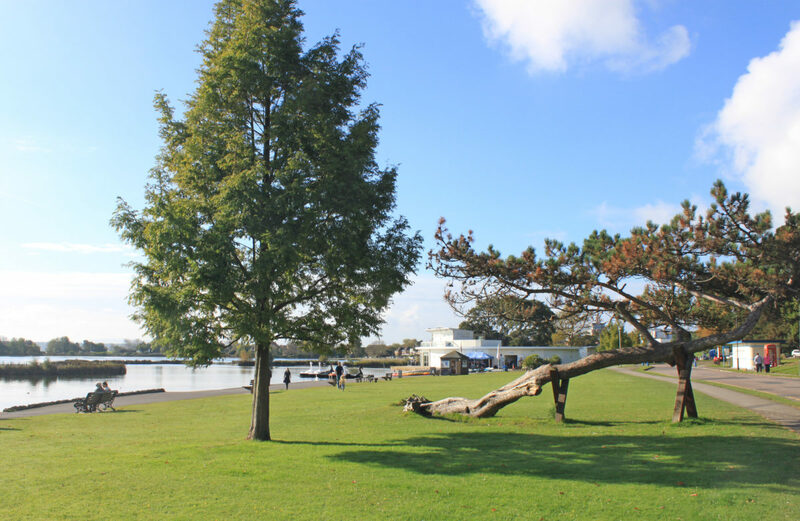 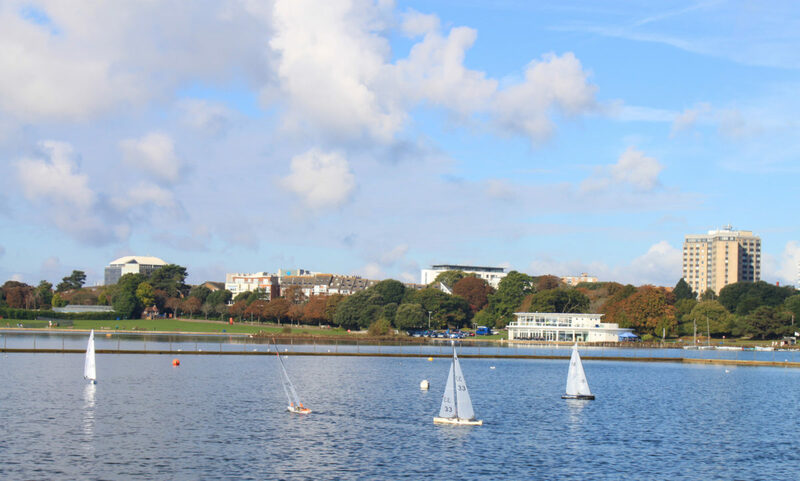 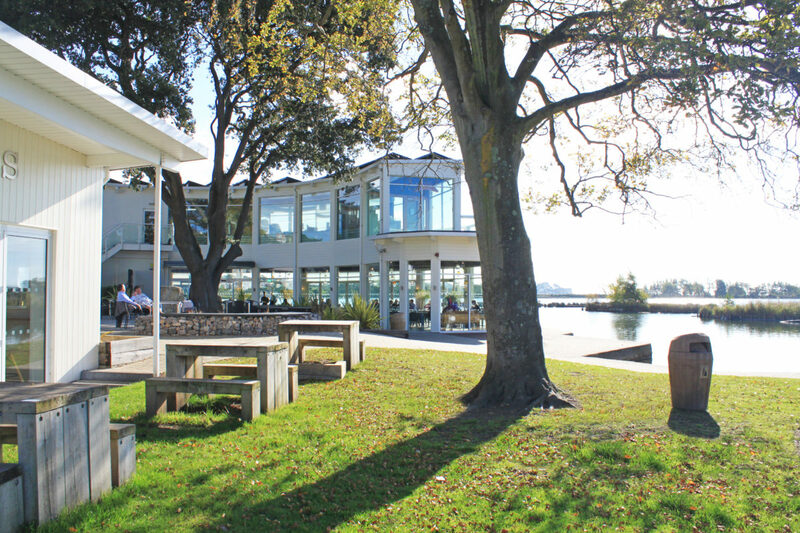 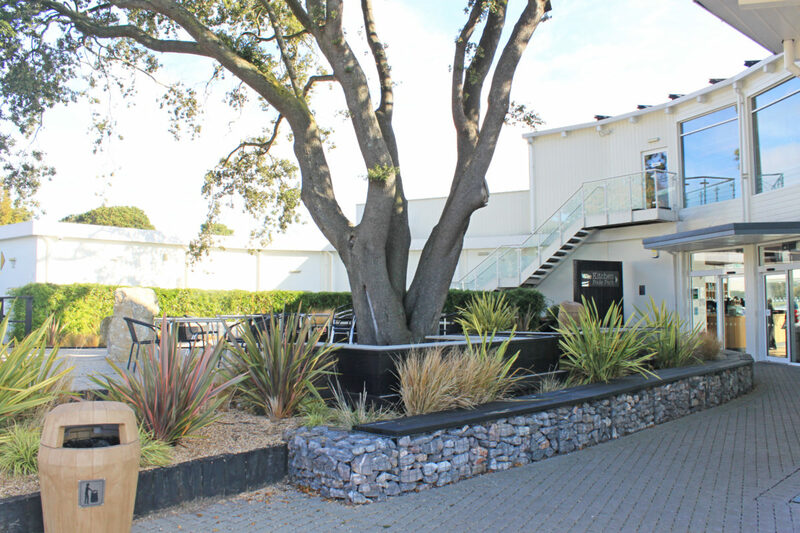 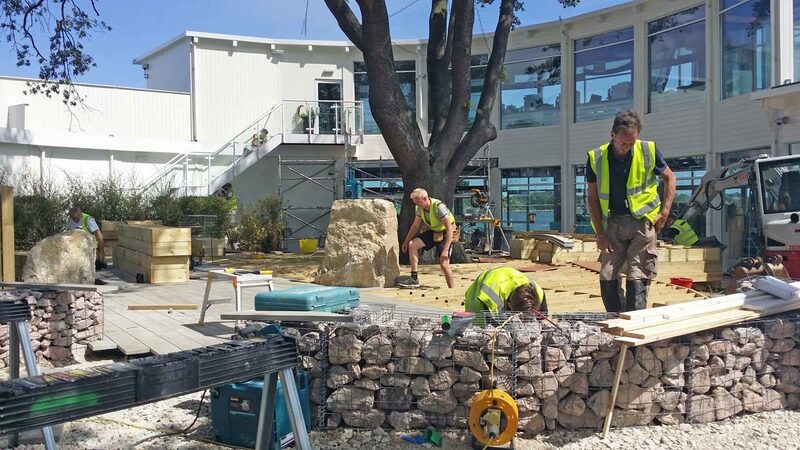 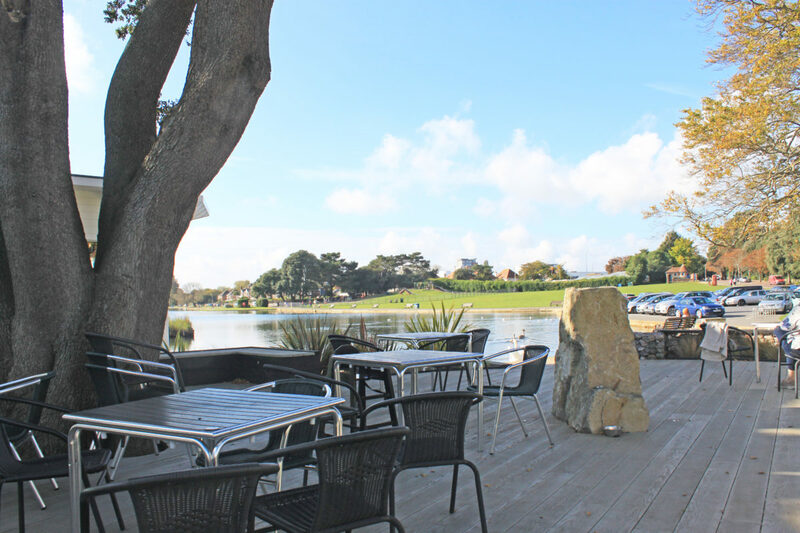 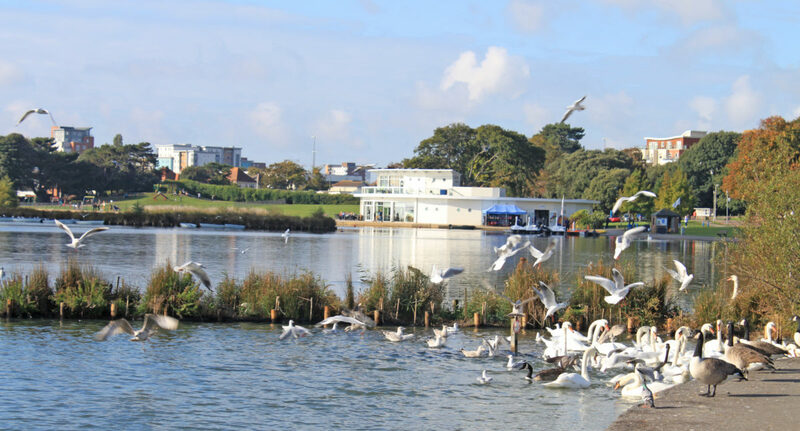 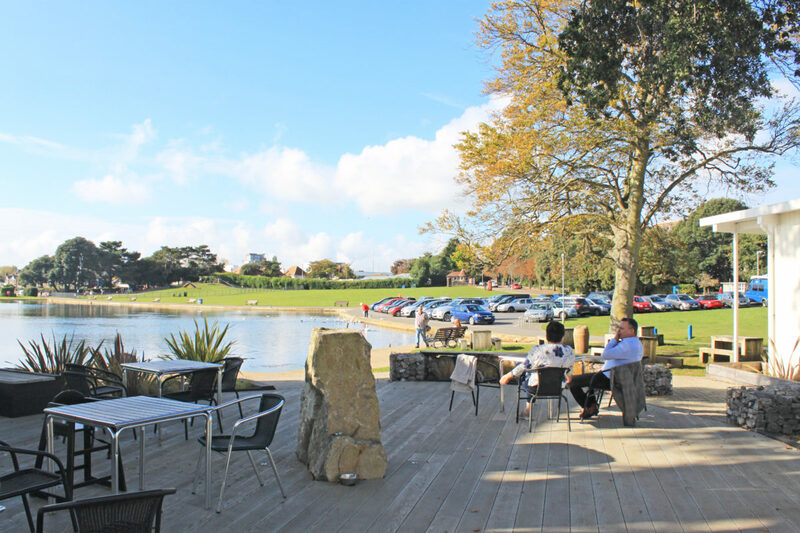 Located at the centre of Poole’s historic park, The Kitchen is an impressive glass-fronted building with stunning views across the UK’s largest inland saltwater lake. 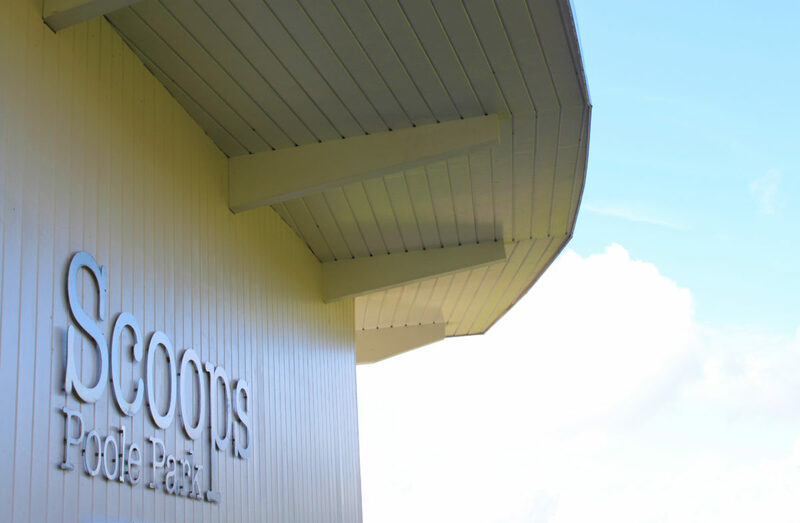 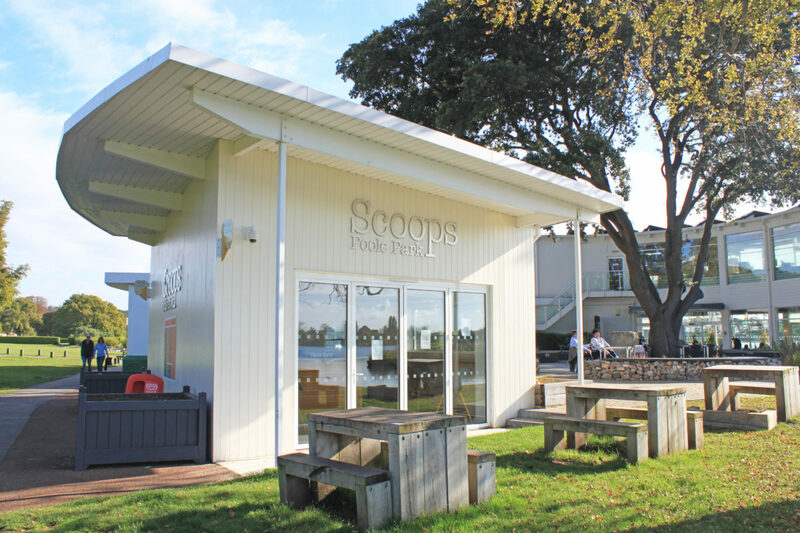 The restaurant and Scoops Ice Cream Parlour next door offer a relaxed, friendly atmosphere for al fresco dining. 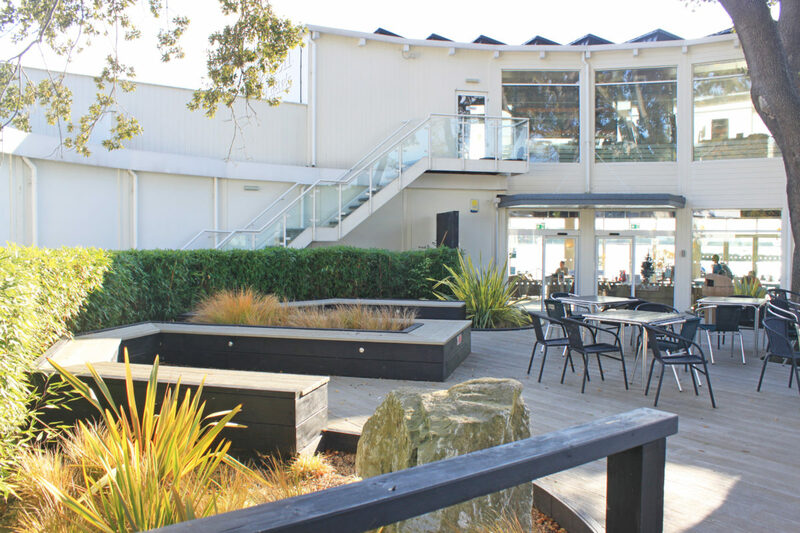 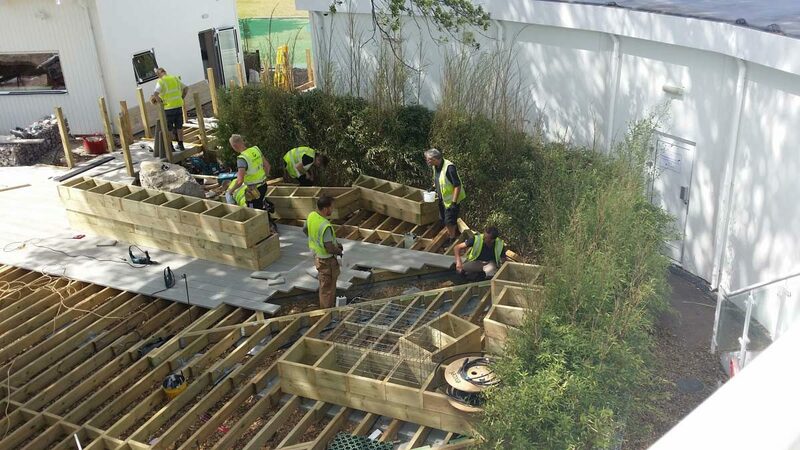 Tired, broken old benches and poor amenity grass is replaced by gabion basket and timber seating, rustic raised timber planting beds filled with coastal grasses and an accessible, low-maintenance deck, which emphasises the unique waterfront position the business enjoys.